Brother Ali Ticket Giveaway Inspires Deep Thoughts | True Endeavors Presents: music, tours, tickets, mp3 downloads, concert pictures, videos, Madison WI. We asked readers to name someone “who has made great strides to promote social unity,” and we were overwhelmed with the positive messages promoted by people our readers introduced us to. Though it was difficult to choose a winner among so many high quality, well-thought-out responses, we felt that a comment from reader and contest winner Bryan was especially powerful. Read his complete response and other inspiring comments from contestants here. In short, we want to express our thanks to our readers and all those who continually take the time to participate in such discussions. Let’s keep the conversation flowing! 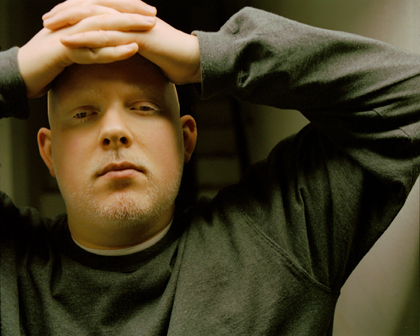 ***Note: Tickets are still available for Brother Ali’s show at the Barrymore (this Thursday, November 19th) but they’re going fast. Get yours now. Thanks to all the participants and to Shelley for such a fitting contest. Big thanks to you Tag and the whole True Endeavors crew for a great night at the Barrymore with Bro Ali. Brother Ali took the time to meet my daughter and sign her copy of his new record. Being that it was her first show it couldn’t have gone any better. She said she felt like a star when Tag told her Ali would like to meet her.Real cool Tag, I really appreciate that. Our pleasure Bryan…so pleased that you and your daughter could meet Ali, and enjoy the show on US!